A night of fast hockey with good mates! Will run a series of short 7 a side 1/2 field (or 1/4 field) matches. Teams will be organised on the night. We will organise teams on the nights. 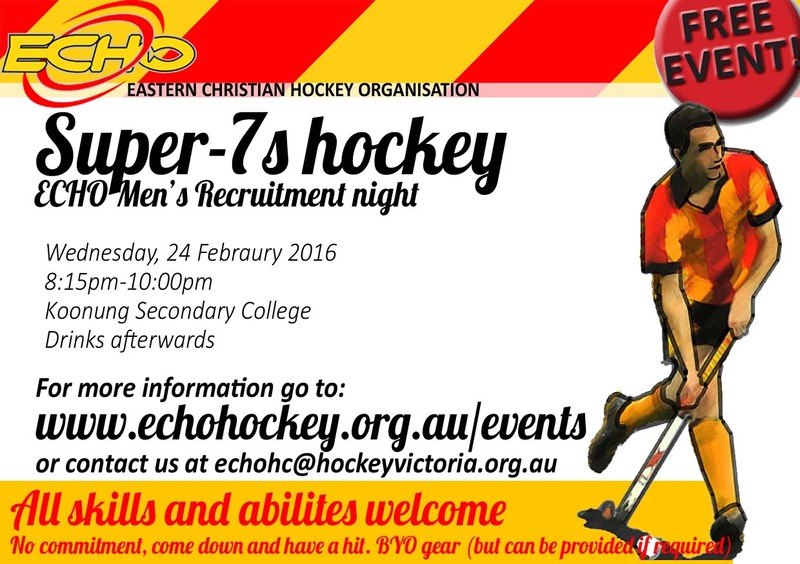 Feel free to contact us at echohc@hockeyvictoria.org.au. Stick around (no pun intended) have a chat and drink afterwards. ← Women’s Fun. Food. Fitness.